When is a preview considered a 1st appearance? This question has been debated to no end throughout the comic book collecting community. There have been several instances where a beloved character has appeared first in a comic book as a preview or in an ad before the debut of the character in an ongoing issue as canon. As a speculator, the fact that a preview does not hold value as a first appearance can be rather frustrating. What is the true definition of a first appearance anyway? Is it the first time a character has dialogue? The first time they appear on a cover? The first time their name is mentioned and we see a panel with their hand in it? I’ve come to the realization that the 1st true appearance of a character should be an appearance in more than one panel with dialogue in an ongoing series. Everything else should just be considered a preview or a cameo, but with that being said, I think that preview books are some of the most undervalued books on the market right now. The reason some of these books may be so undervalued is not from the content within, but because the fact that many are not known to hold these special nuggets of goodness within their pages. Many previews offer a complete story of multiple pages that contain several characters. Some notable occurrences that are largely considered previews are in books like Absolute Vertigo #1, DC Comics Presents #26, DC Spotlight #1, Techjacket #1, Noble Causes: Family Secrets #3B, and The Walking Dead #61 and #127. Some of these sell very well while others fall by the wayside due to the public being unaware they exist. Upon further research, the largest discrepancy I’ve found between the value of the preview and the value of the first issue has got to do with one of the hottest TV shows on the planet right now. This show is consistently on the top of the ratings pile. The rarity of the first issue and popularity of the show have made The Walking Dead #1 one of the most desired comics of all time, and some would argue THE most desired Modern Age key. What some people may not know, is that this book was preceded by two other books that Image put out a month earlier that contain a five page preview featuring the 1st appearance of Rick Grimes and Shane Walsh. The two books in question are Capes #1 and The Agents #6. 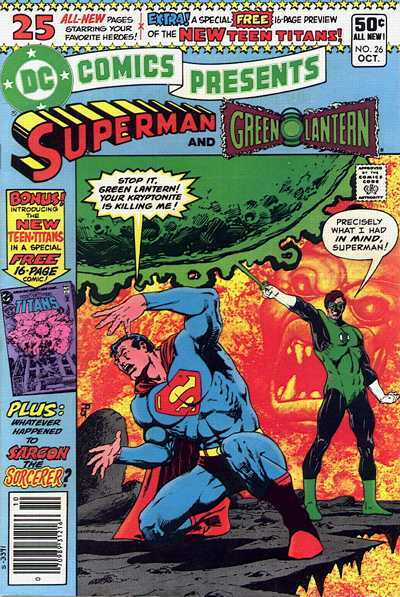 Both issues contain the same preview of when Rick wakes up from his coma to find the world in a much different state from when he was shot in front of his best friend Shane. Both of these books have a publishing date of September 2003, and both have lower print run than The Walking Dead #1. The approximate print run of Capes #1 is 6,200 and The Agents #6 comes in at a miniscule 3,400 copies, while The Walking Dead #1 has an estimated print run of 7,200 (these numbers were found using the comichron.com data base). After looking at graded 9.8 sales and comparing the three books I overwhelmingly believe that Capes #1 and The Agents #6 are two of the most undervalued modern age comics available. To compare the cost to own one of these books, I also checked the prices for some of the other well-known TWD keys graded in a 9.8, including issues: #2, #19, #53, and #92, all of which sell higher than the two preview books in the same grade. The difference in price is staggering, with the average price of the 1st issue of The Walking Dead selling for $2300+ while Capes #1 is selling for $175 and The Agents #6 is selling for $70 (all figures are for sold listings for 9.8 grades with the info found using comics.gocollect.com). Previews are a great way to enjoy early stories of your favorite character without actually paying the price of what is largely known as the 1st appearance. Whether it is the New Teen Titans, Preacher, Invincible, or The Walking Dead the books mentioned in this article should be grabbed up by any serious collector looking to complete their run of their favorite title. Great article! This is a great way to introduce new collectors to books they might never hear about otherwise. The only thing I would like to point out is that Techjacket previews Invinclble 1 in the same way thay Masters of the Universe 1 and Savage Dragon 102 do but Noble Causes 3 is Invinclble’s first appearance on a cover and sequentially. CGC lists this as well for there is no difference between a first appearance and a first appearance via a cameo. They are essentially the same thing. I would say the marketplace is a poor way to determine the validity of a first. Walking Dead 1 is more valuable than anything that predated it but that doesn’t changes the fact that Grimes appeared earlier. This is true for others as well and happens for many clear reasons you illustrate above. Nice work! “First” means “first.” We use modifiers to be more clear: “first shadowed cameo,” “”first full appearance,” “first cover appearance.” Decades ago, Overstreet used to use “intro” for the first meaty appearance, as though to say that appearance in the background of a previous issue with no lines wasn’t an introduction, just a first appearance. Don’t collect “firsts,” collect “intros.” And every dealer who lists a copy of Diamond Previews as a “first appearance” without any qualifiers knows he is being a shady huckster. Excellent work, the great debate continues!! Please remove DC presents 26 from this list. Its not a preview ” ad”. Even though the cover states its a preview, its not a ” sneak peak” type of preview that is only a sample of a few pages of a 1st issue, like the rest of the books you have listed here. DC presents 26 has an original 16 page story, that takes place in continuity, timeline wise before New Teen Titans # 1. Its a first appearance, 1st full appearance, period. There is definitely a difference between an advertisement, a preview, and a first appearance. I thing this is a timely and important article that should be helpful to all. We need to combat the sleazeballs that try to sell or hype previews as first appearances. Educating folks here is a great way to do it. That said, I totally agree with Silverdream that DC Presents #26 is not a preview or an advertisement. Honesty I actually take personal offense to your post. I have been determined to clue the collecting community into books that preview top properties for a very long time and I do so not to make money or ” hype ” something that doesn’t deserve it. Is a book like Gobbledygook or Malibu Sun13 hyped any more that a 1:200 variant that’s simply a manufactured collectible based only on rarity? ( and yes I understand that some retailer variants and others are bought for first appearances or art but many hold no importance other than the fact that a retailer ordered a number of other books to get it ). Isn’t it up to the consumer to decide for him or herself? The point is that there is a reason to collect, Deadworld 10, Marvel Requirer 12, NE Comics Newsletter 14, Funny Aminals 1, etc. and collectors should know about them and then make their own buying decision based on the knowledge given. How is that sleazy? Invincible first appears on the cover of a the NOV 2002 publication Diamond Previews. Is this not his first appearance/first cover appearance? If you say no because there is no sequential art then what about Gwenpool’s first? There’s no appearance of her inside that book. And if you say that Diamond is a trade publication and not a comic then what about Rocky er…Rocket Raccoon’s first appearance? That was a magazine and not a comic. I could go on and on really. The whole first appearance argument is important because so much of what collecting comics about centers around collecting firsts. Because no one can agree collectors have a serious problem to deal with. If we had a clear cut definition it would help but we don’t. So is is sleazy to list the December 1994 preview issue ( which was inserted into Diamond ) as the first appearance of Preacher? No it’s not. And its also not a sleazeball move to inform the public that these comics and publications exist. thanks Topher, I couldn’t have said it better myself! I’m not great at arguing and DCP #26 IS a preview of The New Teen Titans, so it stays in the article. “We need to combat the sleazeballs that try to sell or hype previews as first appearances”? GTFOH and don’t judge people as sleazeballs for not collecting the same way you do. I love previews and I consider them first appearances I have all the books mentioned in this article. All though Capes and The Agents have print dates before Walking Dead #1 In many areas there were delays with the shipping of both Capes and The Agents. In most stores from reports I’ve read on this Capes, The Agents, and Walking Dead all hit the shelf the same day even though Capes and The Agents were printed previously. However both do have earlier print dates these should be Rick and Shane’s 1st appearance and first Walking Dead in comics. 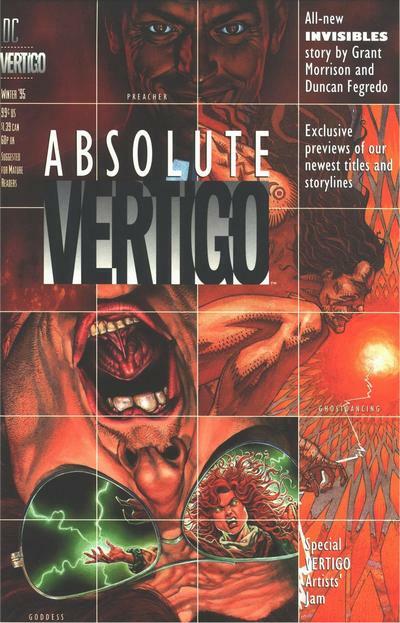 Absolute Vertigo #1 has actually picked up some steam recently it’s moving well but the price really hasn’t jumped much. Some other books to add to this list House of Mystery Halloween Annual #1 IZombie preview, Golden book Batman Almost got im’ 1st Harley Quinn this is a children’s book not a comic hit shelves a couple weeks before Batman Adventures #12 according to most reports starting to go for big $$$ also Batman Adventures Coloring Book which is in Comic form but a coloring book with a 1pg Harley print. Thanks for the kind words and the support everyone! John Brown please let me be clear. I like your posts, I think they have merit and you do a fine job. I have no real comment on the collectability or validity of any of the other books you have mentioned. I don’t care either way what people feel should be considered a first appearance. Everyone has an opinion on that, buy what you like is what I say. 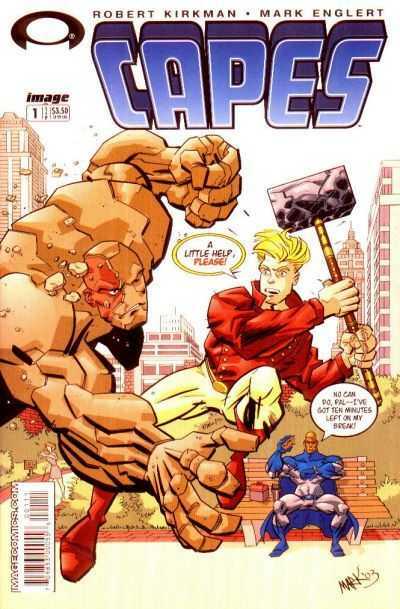 I do think your perspective on DC presents 26 is misunderstood however. Calling DC presents 26 a preview of the NTT is like calling Amazing Fantasy 15 a preview of Spiderman or New Mutants 100 a preview of X-force. The story in this book starts the series and continues into DTT # 1 its all original and does not repeat in NTT # 1. its an introduction to the team, just as NM 100 introduces X-force. Im not sure if you have read these issues, but you really should if you have not. Also, just because DC called it a preview, doesn’t make it one. They called it a preview because its not an entire book length story, and its a “bonus” not normally included in the series. That doesn’t change the fact, that its an original story. Try to look at it like many golden and Silver age books, which had totally separate and unrelated Back-up stories that were only 8-16 pages long. Plenty of these lead into new series, but have never been considered previews. On a side note, almost all other DC free inserts around this time frame actually were previews, only printing the first pages of the # 1 issue they were ” pre-viewing”. Please consider taking a second look. There’s Marvel Age #102 that predates New Mutants #100 that has X-force on cover and a 5page preview. Some debating this should be X-forces first appearance over New Mutants #100. Best advice I’ve heard and taken when it comes to collecting 1st appearances… if there’s other books that could question the validity of a 1st appearance that’s important to you best to collect them all and you don’t have to worry about not having that 1st appearance. As much as I hate to admit it, Wikipedia explains what a first appearance is very well. Check out the section on ambiguity of the term here:https://en.m.wikipedia.org/wiki/First_appearance. What some people seem to be missing is that the comic collector jargon ‘first appearance’ means more than the sum of the definition of the two individual words. To call an advertisement from a different publisher (i.e. Previews) is way off base in my opinion. Also, to ignore that a character can have a first appearance in an anthology series is to basically ignore a significant number of golden and silver age first appearances. Seriously, read the Wikipedia page referenced above (I can’t believe I just wrote that). BTW, I am not saying that it is bad to speculate or have interest in collecting previews, advertisements, or pre-1st appearance splash page art or the like (i.e. Spawn in Rust#1). What I am saying is that labeling them as a preview or advertisement rather than as a first appearance is appropriate. I suggest using a publication that deals with the industry in question to define terms not Wiki. Overstreet is a good place to start and it’s a much more reputable source.